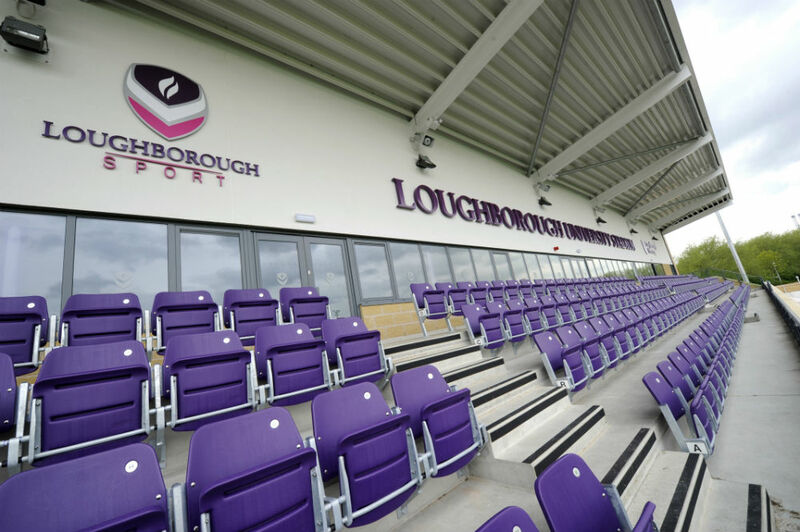 This outstanding stadium provides team and spectator facilities for Loughborough University’s first XI football and first XV rugby teams. 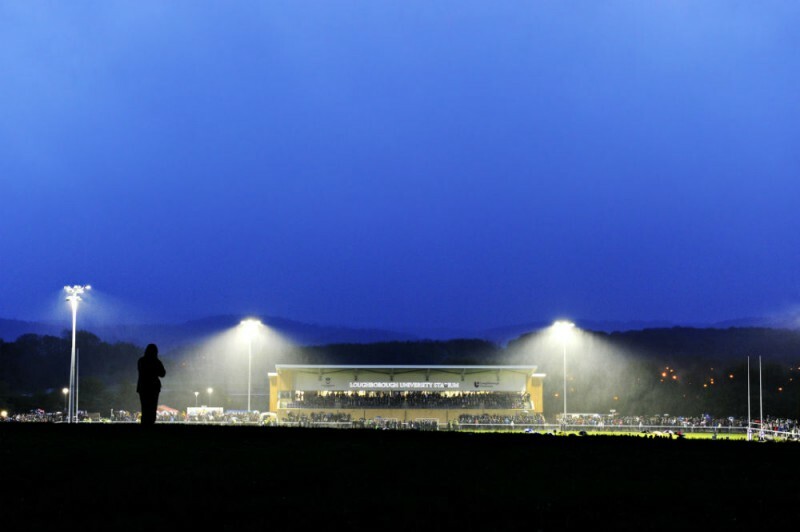 The main terrace provides seating for 3,000 spectators, and, to cater for major events, two hard-standing areas were redeveloped to provide an additional 800 seats. 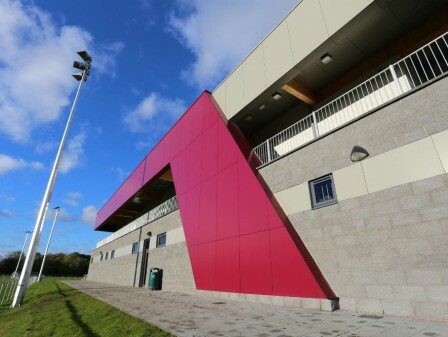 Ground-floor accommodation comprises 14, 16 and 20-person team changing rooms (some interconnected for flexibility), along with officials’ changing and ancillary accommodation to support all of the surrounding sports pitches and activities. Designed to meet Football Association and National Ground Grading requirements. Overlooking the pitch through continuous glazing, an open-plan bar provides a social space for 250 people at first-floor level. 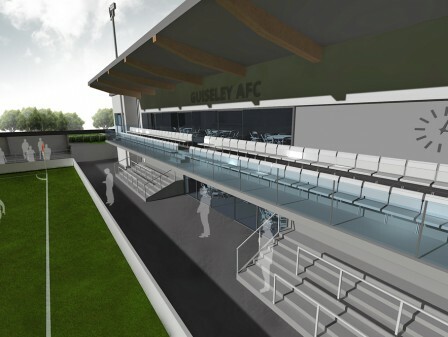 From here, there is direct access to another covered and elevated 300-seater terrace. Works on site also included the timber perimeter fence, turnstile housing, floodlighting and the installation of the electronic scoreboard. 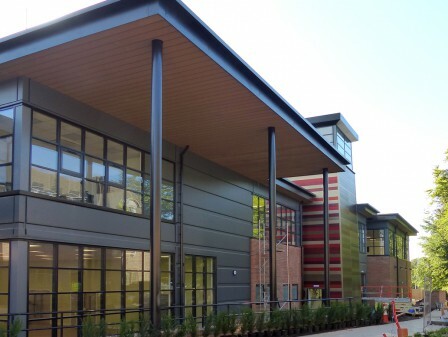 We took the role of Project Architect and Technical Advisor for the entire project. 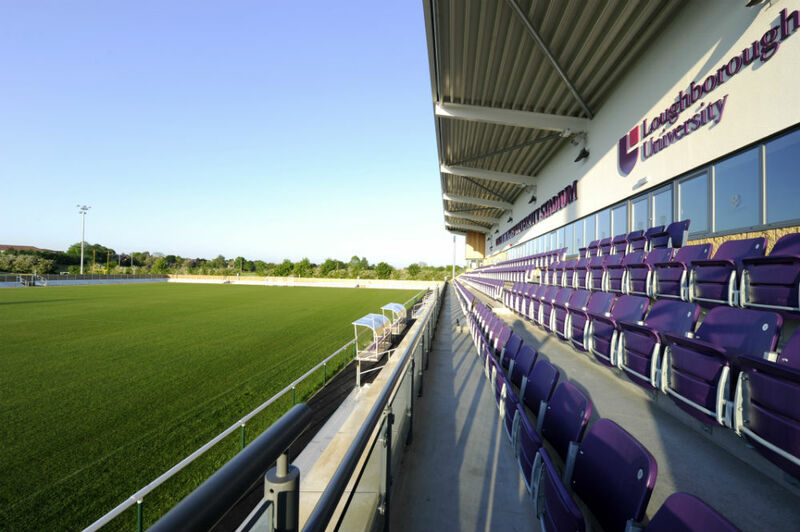 This Category D facility was designed to meet Football Association and National Ground Grading requirements. 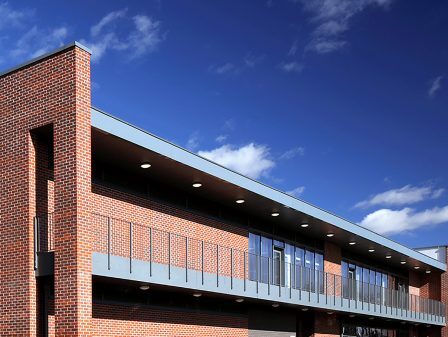 Finish-wise, we specified split-face masonry and natural larch cladding as a sympathetic, yet contemporary, response to the stadium’s semi-rural setting. 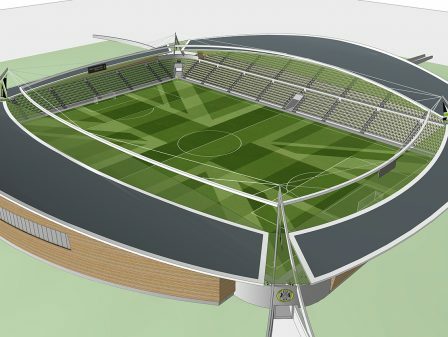 Timing was another important consideration, with the development required to be completed in time for the season’s opening fixtures. In the lead up to London 2012, the venue was used as a preparation camp for Team GB, who were based on campus. The stadium also hosted a segment of the Olympic Torch relay.